Apart from the wacky (read: few) kids who wanted to pursue a career in science or some other profession that involves using the intellect, they are far outnumbered by kids who want to be a baseball player, football player or just be as strong as Dad. And since one can safely generalize that Dads are more into sport than Moms normally are, things like players, their statistics, which game they’re playing and even the priced Ball Qube that has an autograph from such and such player from so long ago tends to dominate conversation and the pride and joy of families that are into sports. Display cases have come a long way from being made of glass (that could shatter easily), and thus can be more of a hazard around the house for both adult and child alike. 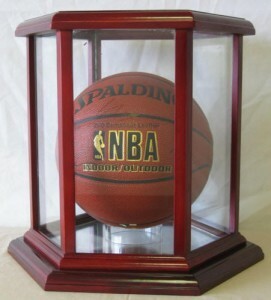 However, with the new sports collectible display cases made of acrylic plastic that look great, don’t break and can last for at least for almost three four decades, you can be sure that your priced sports memorabilia is in ‘safe hands’ for a long time to come, and can be passed on to the next generation of collectors. And how has this been made possible? Injection molded plastic parts ultimately be assembled together to look exactly like that sports display case you have on your shelf. In most cases, they are made in specific sizes and shapes for customers but can also be created according to the mold design that some businesses have already prepared.